Executing our mission requires all three. The volunteers are the primary movers. The projects are “How” the volunteers implement their efforts. The Organizations are responsible for creating and running the projects. Why is there a need for PWB? Because when all 3 components are connected, their individual values are maximized, and more work is completed more efficiently, and endures longer over time, given the expertise available. Organizations can more effectively prove the impact of their projects. More projects will be completed, serving more people, and generating enhanced learning throughout the process. PWB is the facilitator and connecting hub for all 3 components. 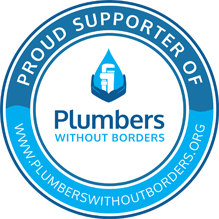 Through our growing international database of volunteers, organizations, and projects, PWB is helping to conquer water and sanitation poverty, ultimately improving global public health.